Barnim is modern, full of life and has a wealth of bright ideas. This young region to the northeast of Berlin has used the recent years to good effect. 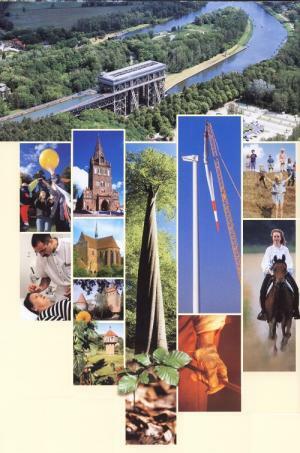 Much has been done in the regions principal town Eberswalde, in Bernau near Berlin and in the surrounding rural districts. The residents of the Barnim area have retained their traditions and simultaneously moved into the future. Many historic buildings have been restored. There is also new residential housing, modern schools and a steady growth of innovative commercial enterprises. Clinics and research institutes enjoy an excellent international reputation. In industry and scientific acumen the Barnim institutions are international leaders. Barnim is well equipped for the future. The region has a first class infrastructure for living, learning and working. Investors enjoy large industrial and commercial sites, ample residential areas and a great potential for a well qualified workforce. It is working particularly well with modern companies and the administrative authorities who are taking on the present challenges and looking to the future. The tourism and commercial development organisation WITO takes the political declaration to support industry and trade and has established the four main fields of expertise: Tourism, health, energy and the metal working industries. Creative solutions to complex problems are found through established networks in Barnim; it is all coming along very well.